The Religious Society of Friends began as a movement in England in the mid-17th century in Lancashire. 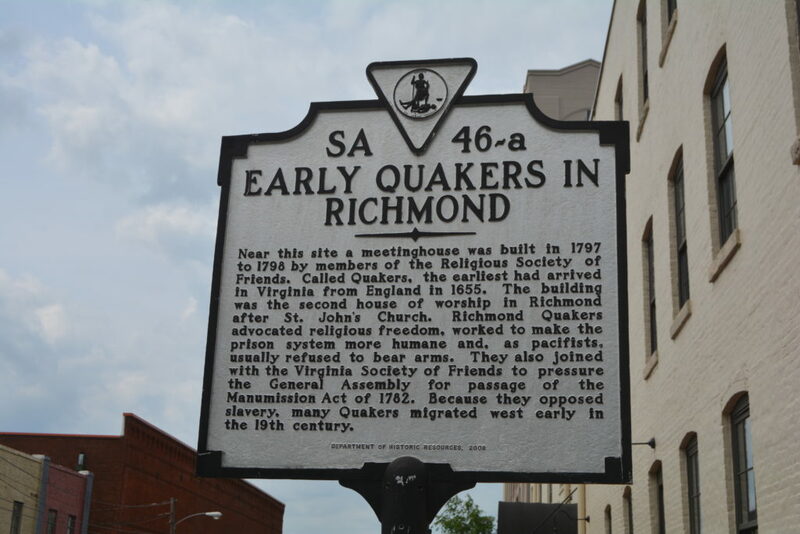 Members are informally known as Quakers, as they were said “to tremble in the way of the Lord”. The movement in its early days faced strong opposition and persecution, but it continued to expand across the British Isles and then in the Americas and Africa. The Quakers, though few in numbers, have been influential in the history of reform. The colony of Pennsylvania was founded by William Penn in 1682, as a safe place for Quakers to live and practice their faith. Quakers have been a significant part of the movements for the abolition of slavery, to promote equal rights for women, and peace. They have also promoted education and the humane treatment of prisoners and the mentally ill, through the founding or reforming of various institutions. Quaker entrepreneurs played a central role in forging the Industrial Revolution, especially in England and Pennsylvania.